On Jan. 15, two former Idaho governors gathered local reporters at Andrus Center for Public Policy in downtown Boise, four blocks from the Capitol building, where both men served their terms. The long-time friends, usually at ease together, trembled with outrage in front of the lights and cameras. They’d called the news crews in order to publicly condemn a decision by Idaho’s current governor, Butch Otter, to allow the transport of spent nuclear fuel into the state by the Department of Energy, despite the agency’s breech of a rare waste agreement. “I’ll tell him what his legacy’s going to be,” former governor Cecil Andrus growled. In 1995, the state and the agency reached an agreement to make Idaho free of federal nuclear waste by 2035, under which DOE agreed to clean up nuclear testing site Idaho National Laboratory and start shipping nuclear waste out of state. Federal nuclear testing facility Idaho National Laboratory sits above the Snake River Aquifer. Photograph courtesy of Flickr user Idaho National Laboratory. In 2011, Otter and DOE signed a separate agreement to allow yearly shipments of commercial spent fuel to Idaho National Laboratory for research, so long as DOE kept up its end of the 1995 agreement. This year, DOE is not in compliance. In the last few years, problems with two treatment facilities stalled DOE’s progress on treating and transporting waste, putting the agency significantly off track for the first time. Despite this, DOE is proposing two shipments of spent fuel this year. Otter says he’s willing to provide a waiver to the 1995 agreement, on condition that DOE outline a plan for getting back into compliance. He’s calling it incentive. And that’s where he’s getting in trouble. Otter, who declined through a spokesman to comment for this article, is moving forward with his waiver. But he’s learning how hard it can be for states to deal with nuclear stockpiles, even when they have ironclad agreements in place. In 1995, Idaho National Laboratory was holding a lot of waste: 261 tons of heavy metal from spent fuel, 127,000 cubic meters of transuranic waste, 2 million gallons of high-level liquid waste and 3,700 cubic meters of dried liquid waste. 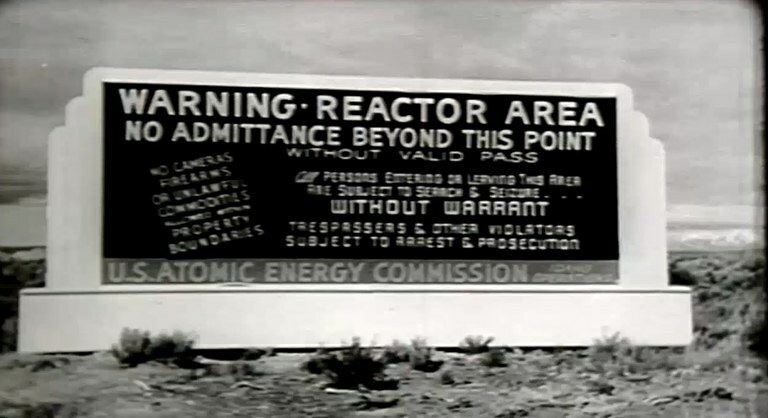 INL was established in 1949 as a federal research facility for nuclear technology, but it soon became a handy dumping ground for federal nuclear waste. Much of that waste had been buried in unlined pits on INL premises, which sits above the Snake River Aquifer, and as High Country News reported in 1995, trace amounts of toxic material had been detected in the aquifer. This created public outrage and fear that Idaho would become a permanent repository for federal waste. By the early 1990s, Idahoans adopted the mantra, “No waste in Idaho.” That movement eventually led to the 1995 Settlement Agreement. But even that meant some unease. To the surprise of many, though, the 1995 agreement worked. DOE started treating and shipping waste, and INL started getting cleaned up. DOE has decontaminated hundreds of structures, sent thousands of shipments of waste out of state, transferred most of Idaho’s spent nuclear fuel to dry storage, and treated most of INL’s high-level liquid waste. But in 2013, cleanup progress stalled. Nine hundred thousand gallons of high-level liquid waste remain in tanks past a 2012 deadline – and a 2014 extension – to treat it. And DOE fell behind on its yearly export of trans-uranic waste to DOE’s Waste Isolation Pilot Plant in New Mexico, due to a fire and a breach of radioactive material at the plant. With the halted cleanup comes the threat of halted imports—imports that bring millions of dollars yearly to INL. This year’s shipments promise to bring up to $200 million in research funds to INL and Idaho. Next year’s shipments could be just as promising. But as long as DOE remains in violation of its cleanup responsibilities under the settlement, such shipments are off limits – that is, without a waiver from the governor. Earlier this month, Otter accepted DOE’s request for a shipment waiver under the condition that DOE create “an enforceable commitment and timeframe for timely resolving the 1995 Settlement Agreement noncompliance issues." In other words, if Idaho is to accept the lucrative shipment, DOE must make a plan for getting back on track. But Gov. Otter has not publicly specified deadlines, nor what such a plan might entail. Brailsford disagrees with this approach. “Frankly, the way to force compliance is to force compliance. The DOE doesn’t need more incentives. As far as we’re concerned, this is a pre-emptive surrender,” she says. Like Batt and Andrus, she thinks this waiver is a sign of weakness. Given Idaho’s economic interest in nuclear research shipments, and DOE’s challenges in complying with the Settlement Agreement, they see the decision as the first step down a slippery slope.